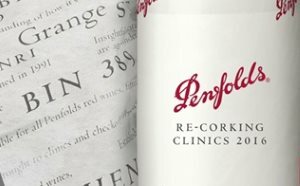 Penfolds is the only winery in the world to offer its collectors a ‘health-check’ and after sales service via its Re-corking clinics. The clinic hits London’s Haberdashers’ Hall on Friday 30th September as part of an international Anniversary tour by Chief Winemaker Peter Gago and his team. Over 130,000 bottles of Penfolds red wine have been assessed at the clinics since their inception in 1991. 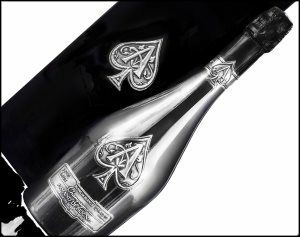 Collectors can have their 15+ year old bottles visually inspected, then opened (if necessary), assessed, topped-up, certified and recapsuled – thereby arresting any further deterioration due to leakage and low levels and adding to the investment potential. It also allows a rare opportunity to learn more about your wine and discuss optimum drinking windows and cellaring recommendations. Peter Gago comments, “After 25 years, the Re-corking Clinics continue to amaze and evolve, transcending all our expectations. The notion that every bottle has a story continues to reign true.” Bookings is essential, so for further information and to register please visit www.penfolds.com/recorkingcliniclondon. The story of wine fraudster Rudy Kurniawan was covered in these pages back in 2013, and now a feature movie has been released telling the story of the Indonesian-born con-man, who was sentenced to 10 years in prison in the USA in 2014 having been convicted of making and selling counterfeit wine from his kitchen, and fraudulently attempting to obtain a $3m loan. 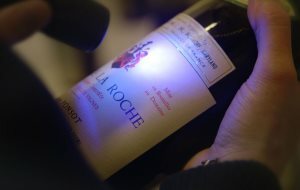 He mixed with the rich and famous of world wine collecting, and is suspected of receiving millions of dollars for fake wine, knocked up from cheaper wines with real, or his own ‘antiqued’ labels. Now the movie tells the story through interviews with key players. It’s on limited release, but there are UK and international screenings schedule for the autumn, full details from sourgrapesfilm.com. 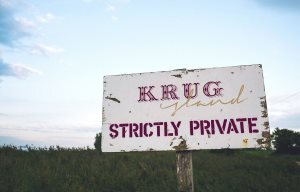 Krug has partnered with music legend Mick Jones, formerly of The Clash, and in vogue chef Michael O’Hare (The Man Behind The Curtain) to create “An unforgettable champagne, music and food experience,” being billed as ‘Krug Island‘. On 1st September guests will be transported from London to Osea Island for an evening of musical experiences to complement the Krug portfolio of Champagnes at different locations across the island. Access to Osea is only possible for an hour each day at dawn and dusk, so guests will be truly immersed in “a sensory celebration of food, music and Champagne.” Artists playing include The Mystery Jets, Rationale and Hollie Cook and the ticket price (from £449) includes transport from London, an overnight stay on Osea, and all food and Champagne. Tickets from Krugisland.com. Whether £360 bottles of Champagne or £6 bottles of Prosecco, there is absolutely no denying that Britain has gone bubbles crazy in the past decade or so: once the preserve only of special celebrations, now we are all opening sparkling wine at the drop of a hat it seems. 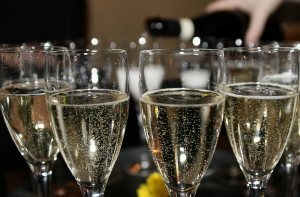 The latest statistics from HM Revenue and Customs certainly bear that out, showing an 80% increase in revenue from sparkling wine over the past five years, accountancy group Hacker-Young collecting data to show sales of 17.6 million gallons in 2011 haven risen to 31.6 million gallons this year. UK consumption of sparkling wine is forecast to rise a further 13% by 2019, compared with modest still wine growth of just 0.6% in the same period. A new series of wine books has hit the shelves this summer, with more titles to follow. Called the Classic Wine Library, the series appears to have echoes of the long-gone and much missed Faber & Faber series of regionally or wine-style focused titles, with the first releases including wine-pages columnist Rosemary George MW on The wines of Faugères, Richard Mayson on Madeira, Stephen Brook on Austria and Monty Waldin on Biodynamic wine. 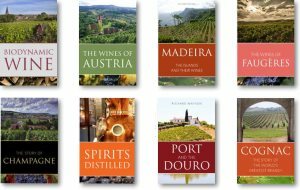 The publisher plans to have 40 wine titles in print by the end of 2018, and says the books “seek to educate, entertain and inform readers, extending from wine professionals, students and collectors to interested consumers and tourists.” The books each have a recommended price of £30, and eBook versions are available.